on carpet cleaning services, when combined with any end of tenancy cleaning. Monster Cleaning Harrow offers access to professional grade cleaning solutions at excellent prices. We specialise in a range of general and special purpose cleaning treatments for homes, offices and commercial establishments. Many of our services are also available on a regular basis i.e. contract cleaning. We have become the cleaners of choice for private and business customers across Harrow through dedication, punctuality and professionalism on all levels of our work. With us, people receive attentive, friendly and worthwhile service in all cases, regardless of how basic or complex their requirements. Read on below for more information on our cleaning treatments and the way we do work. We understand that quality of our cleaning is only as good as the people we have working for us. Because of this we have taken the time and effort to ensure each and every one of our staff is up to scratch and able to perform exceptionally well on every job. Our cleaning teams are well organised, efficient and courteous. Every cleaning service is carried out with professional precision and with the least amount of disruption to property occupants. Since we focus on quality of work and consistent, industry grade results our cleaning techs are trained in the safe and efficient use/application of professional grade cleaning systems (equipment, products, materials etc.). This is beneficial on a number of levels because use of industry certified cleaning gear and supplies allows for better results (including consistency) and reduces the risk of damage or error. Furthermore, it reduces cleaning time and minimises product and water waste. We care for the health and wellbeing of our customers and their loved ones, we also care for the environment and aim to reduce our cleaning footprint by use/application of nontoxic, nonaggressive products and supplies. If use of mild formula cleaning products cannot deliver satisfactory results, our technicians will apply sparing amounts of industry approved alternatives. In all cases, cleaning products evaporate/dissolve without trace or residue shortly after leaving a perfectly sanitised and clean home or office environment. Having said that, customers should keep children and pets well away from rooms and areas being cleaned by our staff, it is common sense after all. For customer convenience and practicality we maintain and provide a range of general and specialised cleaning treatments covering a myriad of requirements. Whether you need to clean your home, office or establishment, or have to deal with specific hygiene issues we have a service that’s right for you, if not we will simply modify an existing solution to wrap around your individual needs and wants. Below are listed some of our most popular services. Domestic cleaning – a versatile and inexpensive way to keep your home clean and fresh whenever and however you require, domestic cleaning can be made to include a variety of additional options, service also available on a fixed schedule basis. 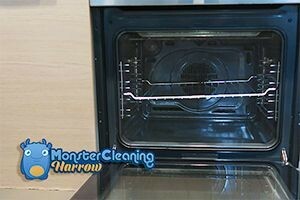 Oven cleaning – quick and easy way to keep this hard working kitchen appliance clean, fresh and performing well. A very affordable and efficient solution available as one off or regularly. End of tenancy cleaning – the service is fully comprehensive and delivers industry standard results all round. Available to both landlords/agents and tenants. Can be requested in combination with professional steam/carpet/rug cleaning. A 10% discount given to landlords/agents. Carpet cleaning – professional steam/dry carpet cleaning safe and effective on all types of natural and synthetic fibre carpets and rugs, specialised antibacterial treatments also available, carpet cleaning can also be requested on regular basis – business customers take note. Prices start at only £22. We also organise and provide a variety of additional services available all year round at excellent prices. Choose from things like spring/deep cleaning, pressure washing for patios and driveways, office and establishment cleaning, after builders clean-ups (can include waste disposal as well). In nine out of ten cases, professional cleaning services are money well spent. There are too many benefits of using such cleaning treatments, so here are just some of the main advantages! Professional clean-ups deliver consistent, industry grade results – not easily achieved using homemade cleaning treatments. Professional cleaning saves time and resources – it can be done on a regular basis, so you don’t have to worry about it. Our domestic cleaners in Harrow are long established and reputable professionals with proven integrity and reputation as one of the worthy participants in the capital’s professional cleaning industry. We have years of professional experience in many types of residential and commercial property cleaning. We are just as effective in our fixed schedule cleaning as we are in our one offs.